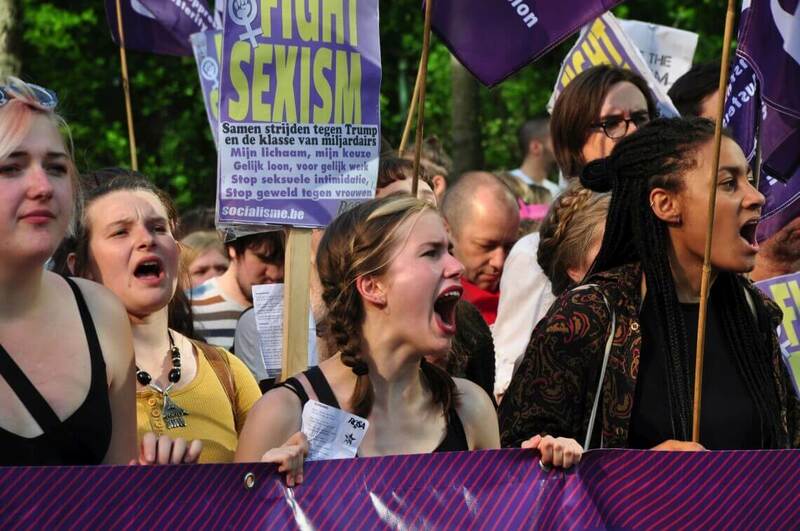 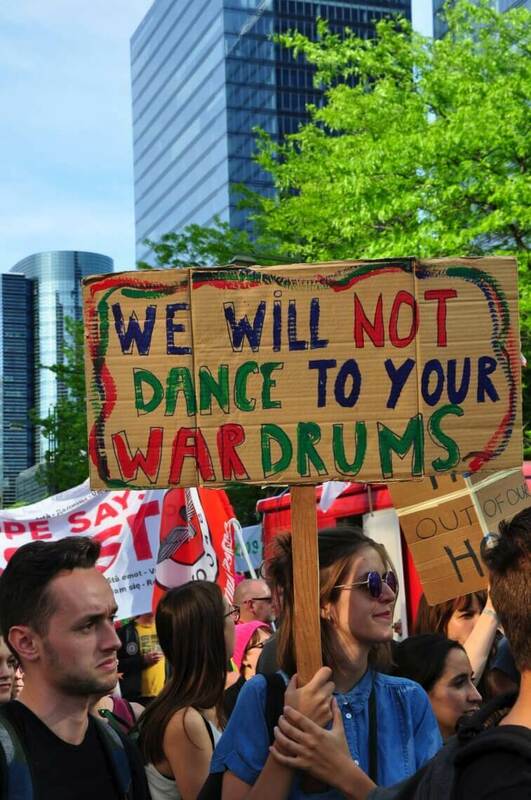 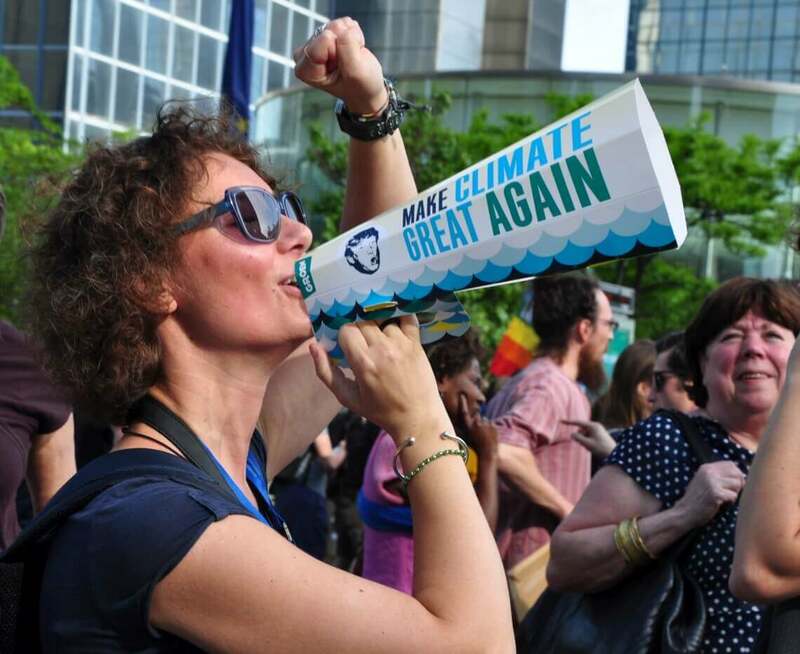 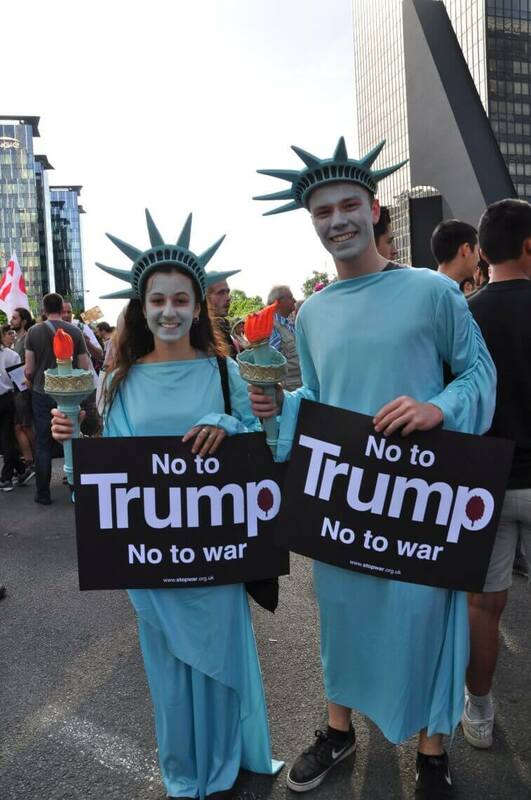 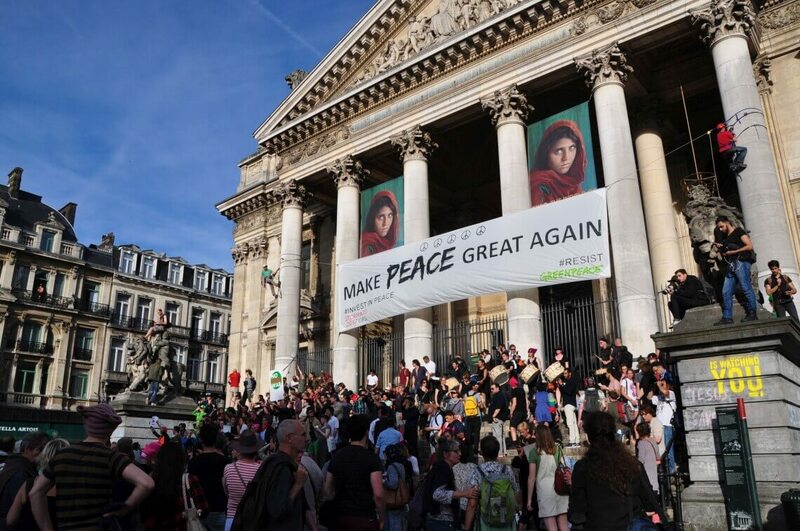 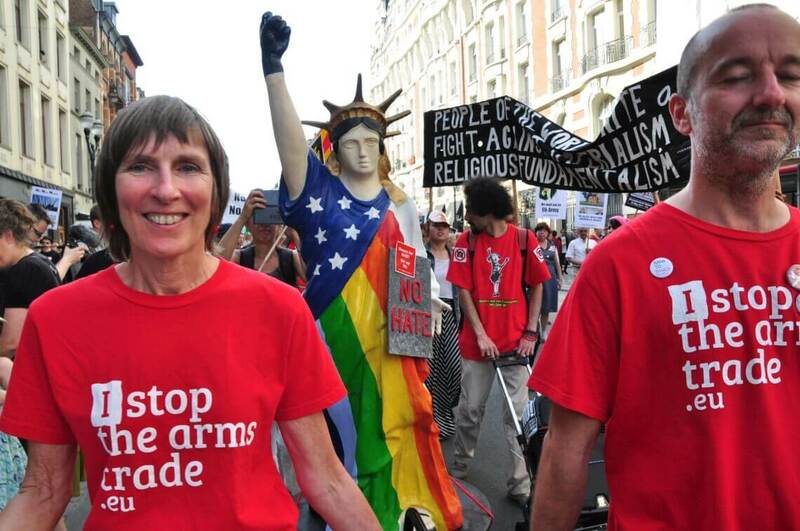 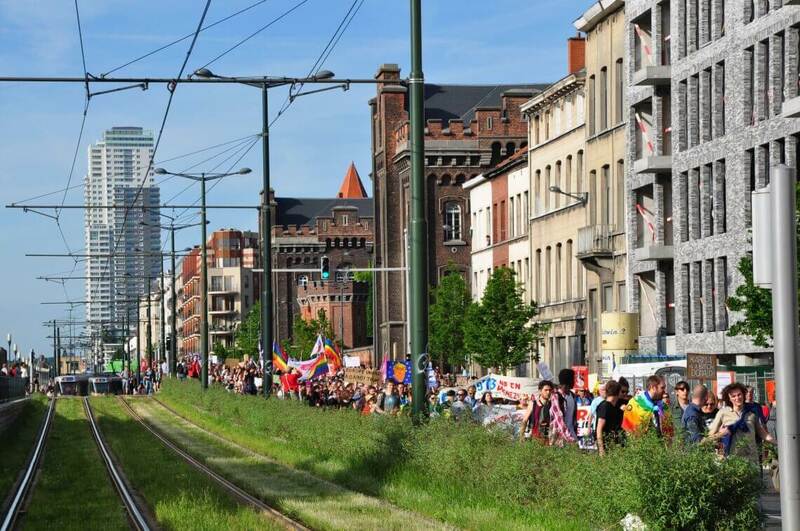 Around 6,000 Europeans gathered in protest to Trump's visit to Brussels on 24-25 May, holding signs that read statements such as: "No to Trump, No to War," and "No Hate in My State." 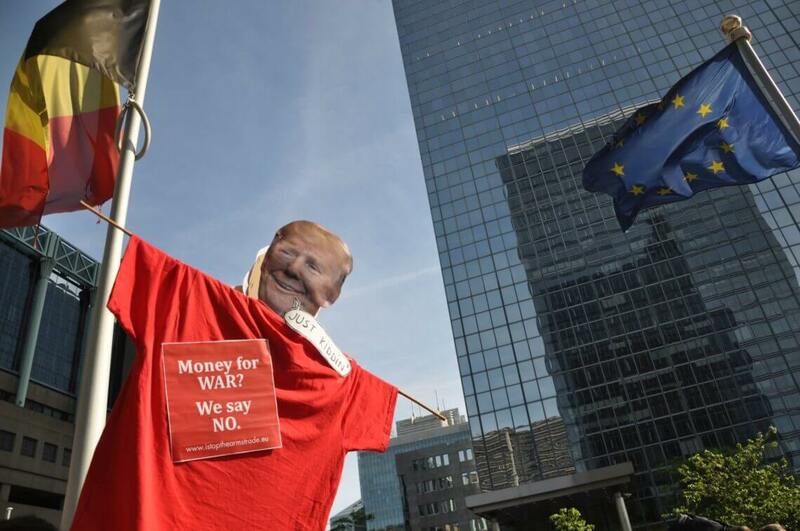 On 24 May, U.S. President Donald Trump met with the king and queen of Belgium before talks with Prime Minister Macron. 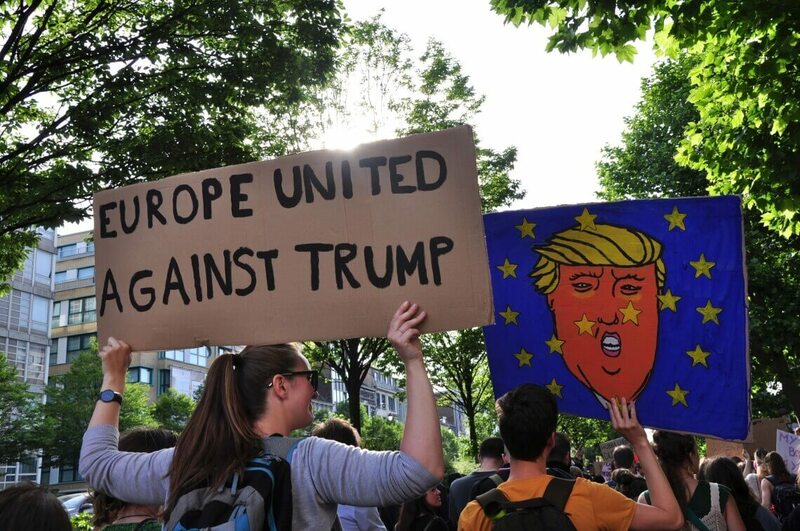 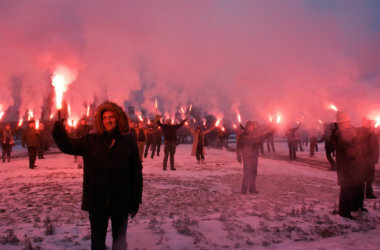 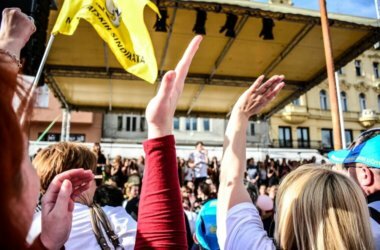 Around 6,000 European citizens took to the streets in protest to his visit, demonstrating Europe’s strong opposition to Trump’s policies. 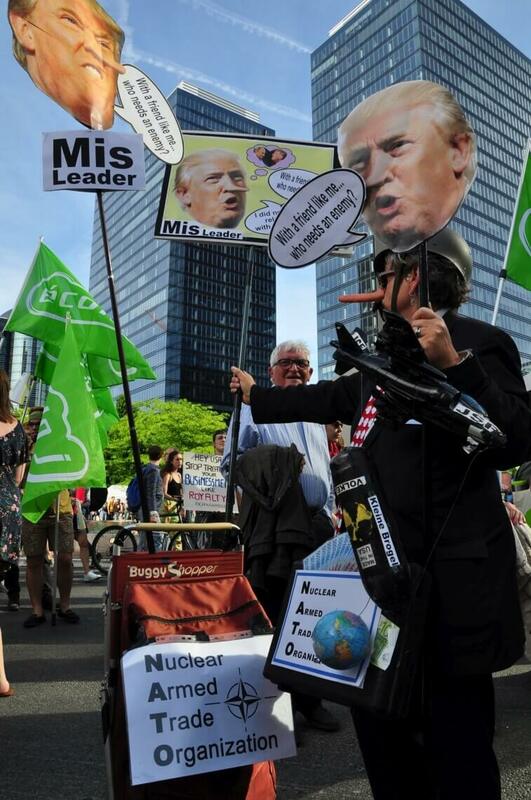 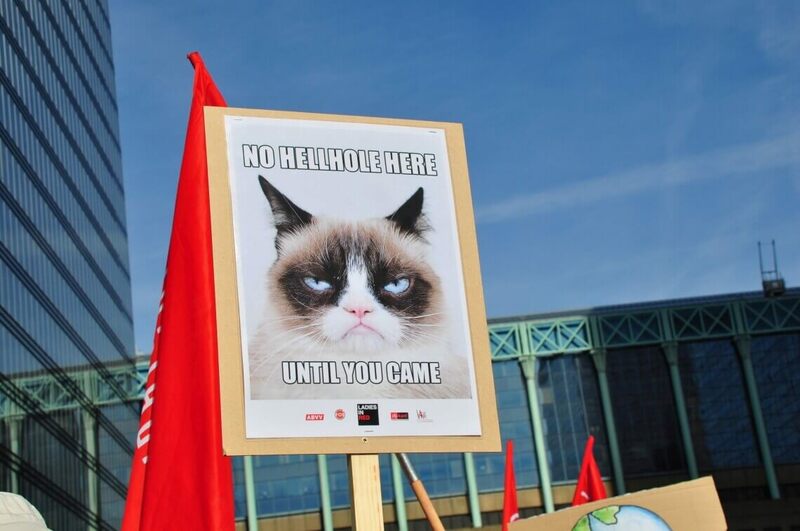 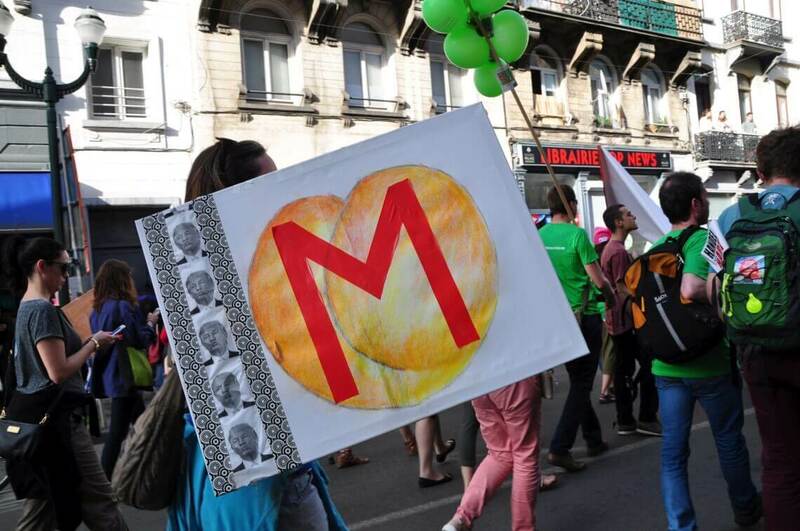 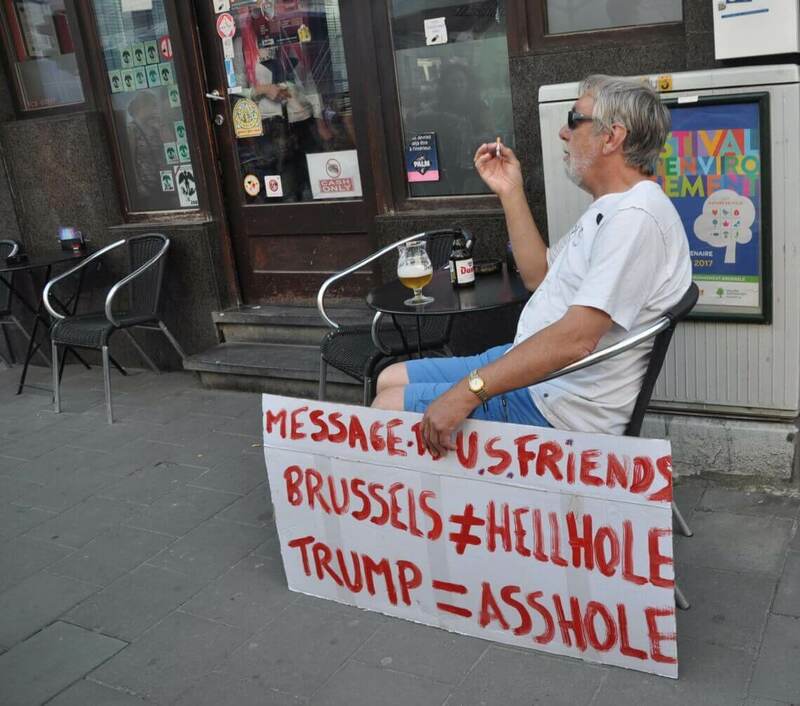 Signs raised by protesters included statements such as: “No to Trump, No to War,” and “No Hate in My State,” and “No Hellhole Here,” the last being a statement against Trump’s January 2016 declaration that Brussels “is like a hellhole.” The following day, on 25 May, Trump attended a NATO summit in Brussels, where Trump lectured European leaders on their defense expenses.